103 new company setups and 2,160 jobs created within 3 years: the results obtained in 2017 by the Lyon Area Economic Development Agency (Aderly) exceed the targets set by its constituents. The target of 100/2,000 (100 company setup projects and 2,000 jobs created within 3 years) has been surpassed, and though the number of setups is down slightly compared to 2016 (103 versus 110), the number of jobs created has risen by 6%. Of the 103 setup projects, 46% of the companies are foreign-owned, and 50% of the jobs created are within these firms. This year, Aderly saw a significant increase in setup projects from foreign companies, with a total of 47 foreign companies compared to 36 in 2016, more than half of which are based outside of Europe. This is the fruit of long-term efforts and very hard work from Aderly’s staff. Overall, 55 prospecting missions were carried out internationally. Among the foreign setup projects, 8 are from the United States, making the country the leading investor in the Lyon area once again. One medical-sector company, Arthrex, transferred its head office to Saint-Didier-au-Mont-d’Or and plans to create 90 jobs within 3 years. There are also 4 Japanese and 3 Canadian companies amongst the setup projects from around the world. 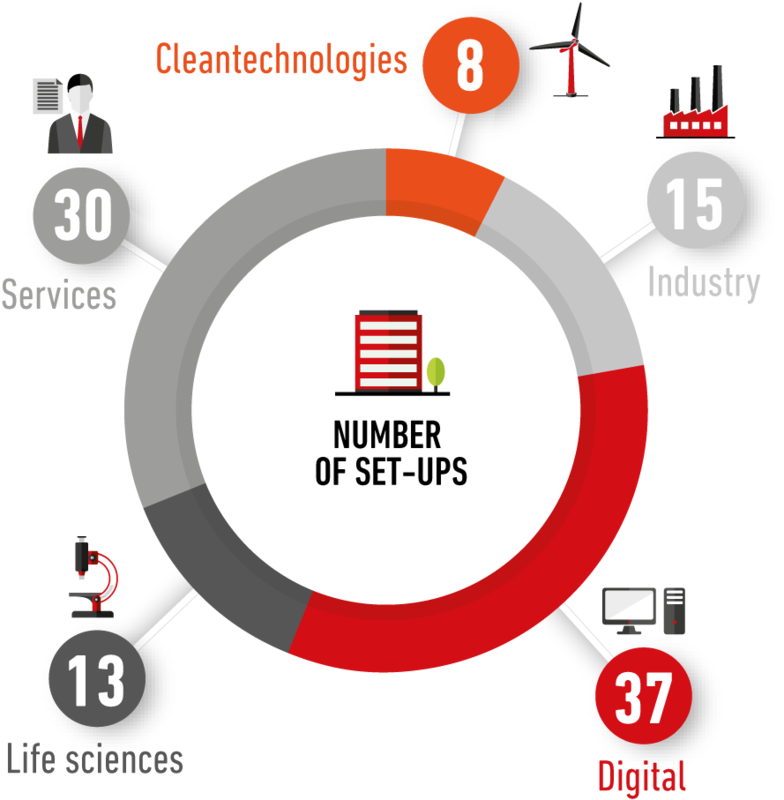 From within Europe, there were 23 setup projects, with Germany and the United Kingdom as the primary European investors in the area. It is also of note that among the 2,160 jobs created, 1,085 are within foreign-owned companies, compared to 1,075 within French companies. Companies in the digital industry are big fans of the Lyon area, with 37 of the 103 setup projects coming from this sector, accounting for the largest share of the setups, and a forecast of 830 new jobs. The industrial sector has 15 new companies, expected to create 333 jobs in the next 3 years, which is higher than anticipated. With its growing industrial activity, the Lyon area hopes to become the French capital of Industry 4.0. Targeted prospecting by experts in each sector has led to very positive results. For example, LEM TECH France, specialized in voltage and current measurement, chose to set up an R&D center in nearby Saint-Priest. Industry is thus becoming an integral part of the region, positioning Lyon as a hub for innovation and high technology. Regarding Lyon’s sectors of excellence, Aderly assisted 13 companies in the life sciences and 8 in the cleantech field. Japanese life sciences firm Kosé namely set up a test platform for its cosmetics, the first the company has set up outside of Japan. In France’s highly political context during the first six months of 2017, Aderly met the challenge of promoting the Lyon area and making it even more appealing. This is the result of close work with its partners Lyon Metropole, Saint-Étienne Metropole and the Lyon Metropole Saint-Étienne Roanne Chamber of Commerce and Industry. 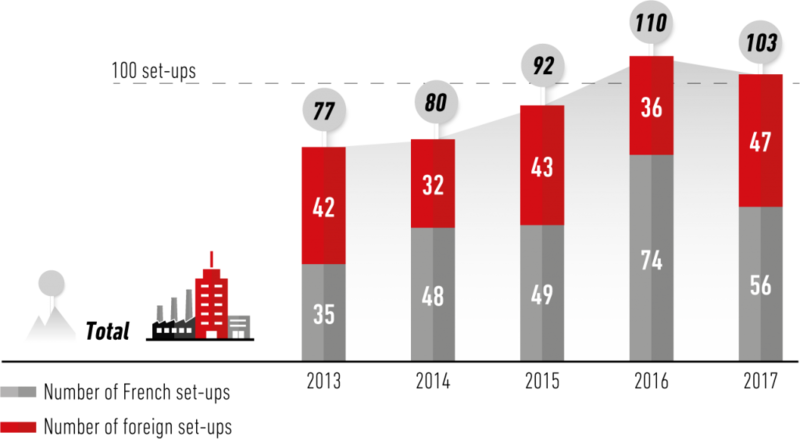 In 2018, Aderly aims to maintain and even increase the share of setups by foreign companies in the Lyon area. To do this, prospecting will be ramped up in strategic segments such as Industry 4.0, insurance and cybersecurity, in order to have a targeted, more effective approach.